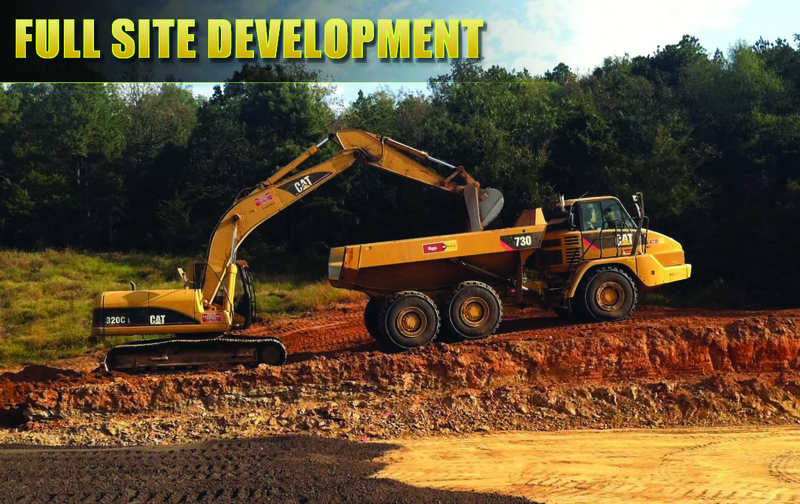 ARCO Excavation & Paving Inc.
Heath Taylor and Brian Adams established ARCO Excavation & Paving Inc. in 2004 as an excavation and utility contractor serving northwest Arkansas. The business has grown steadily for more than a decade, integrating new services to provide turnkey solutions for general contractors.The business offers excavation, site development, concrete and asphalt paving, site utility work and snow removal. Based in Bentonville, Arkansas, the company has established a strong network of clients and strategic partners. When Chris McDaniel joined the company in 2007, Arco added a concrete and paving division broadening our scope of work to a turnkey site work company, providing expertise on numerous jobsites throughout northwest Arkansas and the surrounding areas. From company headquarters in Bentonville, the ARCO team has performed a range of projects, mostly commercial, throughout Arkansas and states beyond. “We travel if the money is right,” Taylor quips. “We have worked in Oklahoma and as far as Colorado in the past.” Arco has the staff, equipment and ability to mobilize to areas outside of the northwest Arkansas region. Recent work includes the earthwork for the Bentonville Community Center, where ARCO performed mass grading, boxes and drainage. The team has also been working on segments of the Razorback Greenway trail system. The Razorback Greenway is one of the best recreational trail systems in the country. It extends through Bentonville, Rogers, Springdale, and Fayetteville, Arkansas. Scope of work on the trail has included earthwork, drainage and concrete, some retention walls, bridges and hand railings. The crew performed its first military project in Fort Chaffee, Arkansas, at the Fort Smith military base. As part of construction for a new training center, ARCO performed infrastructure and utilities work at the base. Other projects include a large paving contract for an expansion at 71B Auto Auction and earthwork and utility construction for most Kum and Go gas stations in northwest Arkansas. Taylor sees steady growth over the coming years. In the region, new opportunities are opening up in a variety of market sectors. Student housing has seen major growth in anticipation for a boom in the educational sector. ARCO has been involved with the construction of several student apartment buildings and has more work coming up on higher education campuses. While the recent recession presented several new challenges to the business, Taylor says his team has remained strong. The company is experiencing steady growth in the coming years and just celebrated a big anniversary. After 10 years in business, Taylor and his colleagues seem to have found the secret to longevity. With strong support from local general contractors, the company will remain busy through 2015 and the years after. 2014 was a good year for the business and Taylor expects to grow by approximately 30 percent in the next five years. While the business recently moved to a new location, the management team is also considering an expansion to accommodate continued growth. Moving forward, ARCO Excavation & Paving will continue to serve as a reliable partner for contractors and project owners in northwest Arkansas and surrounding areas. Showcase your feature on your website with a custom “As Featured in US Builders Review” badge that links directly to your article! tag) where you want to display our review banner. GET US BUILDERS REVIEW IN YOUR INBOX. * We’ll never share your email or info with anyone.